After getting bored of driving a silver car, I decided to make it the color I always wanted it to be. Project 'Wrapped Up' ensued. 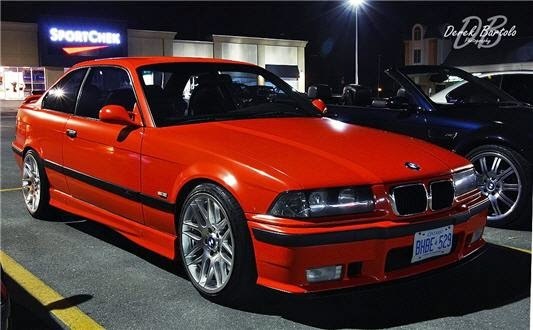 I was starting to get bored with the car and having thoughts of selling it and buying a newer M3, after a bit of a search for the car I wanted with the options and color I wanted, I found that there weren't too many out there and the ones in the price range I was looking for weren't up to my standards. There really isn't anything wrong with my current car, the only thing I wasn't happy with was the color. I wasn't interested in doing a color change because a quality paint job would cost more than 50% of what the car is worth, in other words several thousands of dollars. Then one day I started looking into vinyl and the materials and what it would cost. After finding a supplier through work, I decided to give it a try and experiment with it. I ordered one roll of their 'Glossy Red' as they call it. 60'' x 30 yards should be more than enough. Worst case it would be a major fail and I'm out a couple hundred bucks. Best case, it holds me over for another year to consider options and save some cash. I started the job by first tackling a rust free trunk lid I had planned to have swapped on with a UUC CF Spolier. Considering that I have never worked with Vinyl before, this probably wasn't the best idea because it was one of the hardest panels to wrap due to the huge ~90 degree curve plus all the contours around the license plate area. The results weren't perfect by any means, but I decided to live with the few flaws it had for now and redo when I have a chance and if I had some material left back. Instead of showing too many pictures of the process and risk boring you to death, I decided to make this quick stop motion video of the process. It only shows about 1/2 of the process, only the first weekend. I didn't set the camera up on the second weekend when I finished it off. Finished results, photos taken and edited by my friend Derek Bartolo. You can see some extra material I forgot to trim off above. Chinese Gloss Red, 60'' x 30 yards shipped to Canada for ~$300 CAD. 3M stuff would have been better and gave better results, but it also would have cost $1,000+ in materials. Probably about 40 hrs in total. Two weekends and some work on the evenings here and there. Overall I'm happy with the results, considering it cost me <$400 and not the $3000-4000 some places around here charge. There are a few areas I wish turned out better, mainly two bubbles on the rear quarters that won't stay down even after poking a hole with a pin, it just raises up. It probably would have been a good idea to use some application fluid for those areas, but i couldn't find anything locally so I applied it dry. I have alot of material left back and I can probably redo a few panels if I wanted, but I was starting to loose my patience and just wanted it done. My plans are to keep it on at least until the fall, after the fall i'll decide if i'll remove it or keep it for the winter. Supplier said it can last upto 3-4 years depending on how much UV it is exposed to, but the most I would leave it on is until next summer. Comments, questions and feedback welcomed! Would you like to leave your contact info or website link for any interested parties that want to inquire about your photography services? Would it be possible to fill them with body filler, sand down very smooth, and then wrap my entire car in vinyl without any paint? I believe most vinyl wrap manufacture recommends the surface be painted or primered first, but I'm not 100% sure, so I would double check that first. Also if you are planning to keep the wrap on the car for a long while it might be better to go with better quality vinyl. 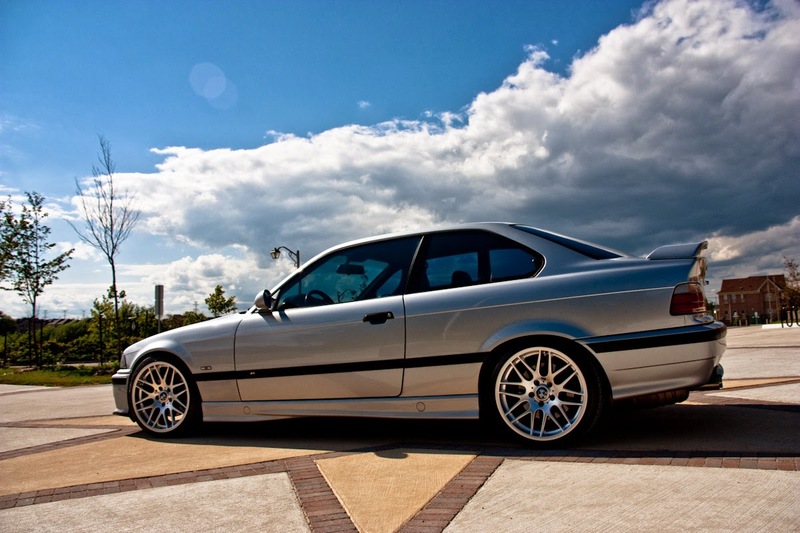 Your blog about BMW E36 is informative as well as this car picture looks awesome . It is really great work. Your experience really drag my attention . Thanks for sharing your experience with us. 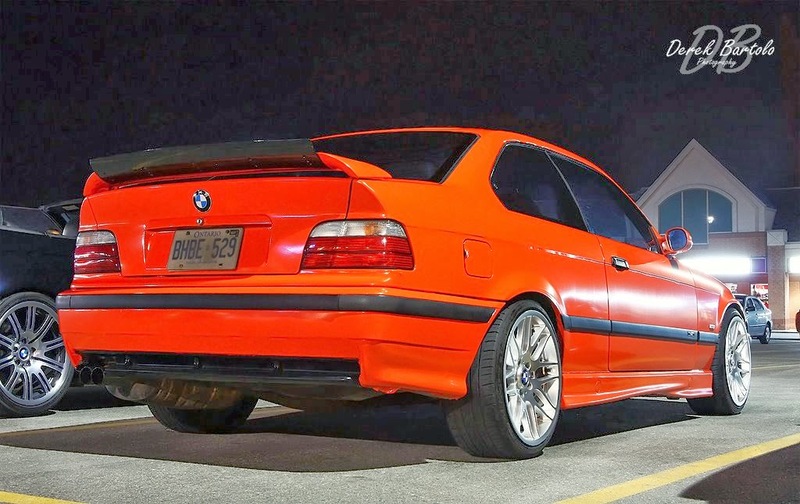 We like BMW E36 .It has high quality driving, good mileage, interior and exterior looks good. I am going to buy BMW E36 . Your information is helpful for us.